Fox News continues its bizarre attempts at music hipsterdom, following up a segment in which comedian (?) 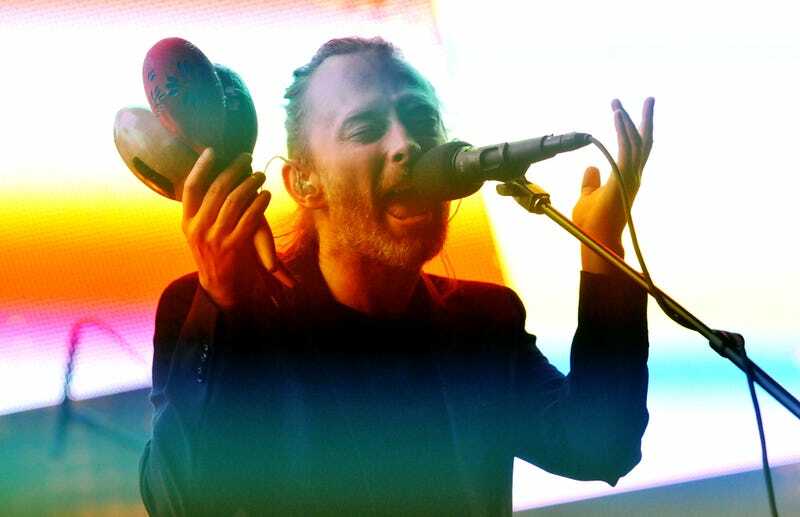 Katherine Timpf mocked Radiohead’s entire oeuvre as “elaborate moaning and whining for ringtone sounds” with a definitive ranking of the Oxfordshire band among its contemporaries. Get ready for a rush of blood to the head, because according to arbiter of tastes Greg Gutfeld, Radiohead is a pale imitation of the Chris Martin-fronted Coldplay. “You know, Radiohead is a fine band, but they stole everything from Coldplay. Like Radiohead is the poor man’s Coldplay,” Gutfeld said, on live television, with absolutely no regard for the previously established hierarchy that goes Radiohead–>Travis–>Muse–> Coldplay–>Starsailor. Gutfield’s comments come in at the 36-minute mark in this video, which Martin and his mates are probably watching on a loop. So if you’re a Coldplay fan who’s been arguing in vain that your faves aren’t just a knockoff Radiohead, congratulations, you have been vindicated by a Fox News host. We realize that might not be something you want to share, not even to folks who enjoy Starsailor, who have been completely left out of this debate. But surely knowing that the band you love, which was formed in 1996, influenced a band that formed in 1985, has to be heartening news for you—it means time travel is possible. WE ADMIT WE LIKE "THE SCIENTIST"